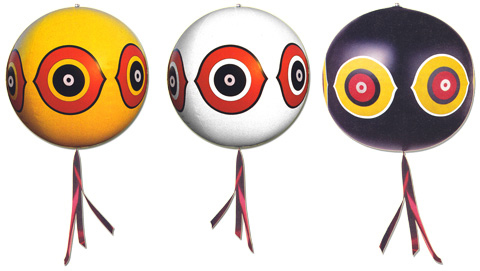 Eye Spot Balloons have large colorful eyes that are designed to replicate the threat of a live predator bird, scaring away pest birds. Durable, weatherproof PVC material assures season long performance. 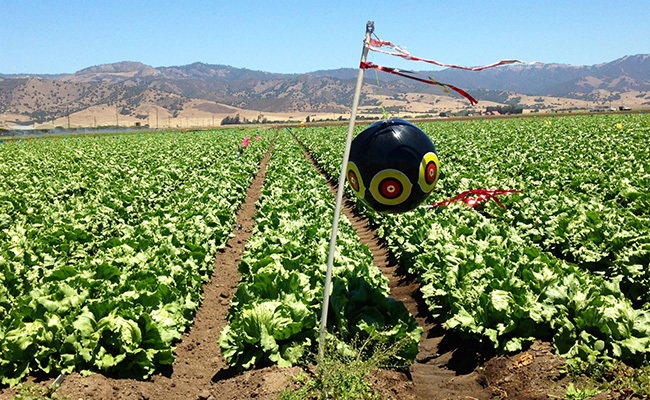 About the same size and weight as a beach ball (16-inch diameter). Includes string for hanging, reflective streamers, and adhesive reflective disks. Ideal for scaring birds outdoors and indoors (barns, warehouses, etc.). 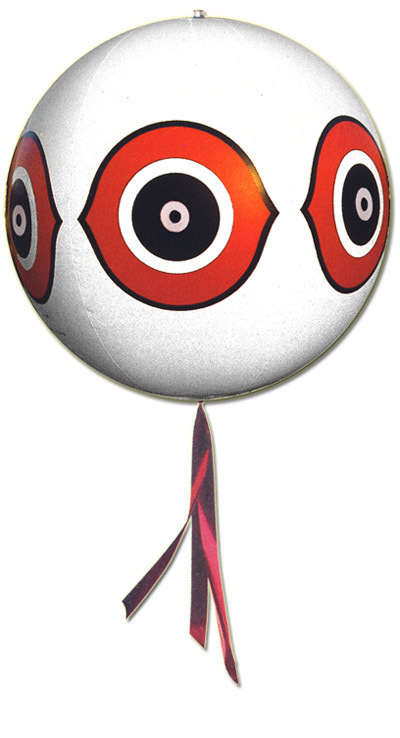 Eye Spot Balloons are not for use with helium. Eye Spot Balloons are available in yellow, white or black. .